When dealing with an air conditioning company it’s not just about contracting a company and getting the job done, it’s about getting the right company for the job and getting the job effectively done. To do this, you need to contract the best AC Company in Los Angeles! Among the various players in the industry, only the right AC Company in Pasadena will deliver the services you need in the best way possible. So, how do you ensure that you have the services of the right company? Well, here are some of the key factors to look out for and some insights on how to look for them when searching for an air conditioning company in Los Angeles and Pasadena. 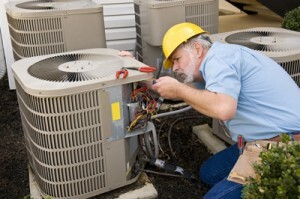 The important thing for an AC company is that they can deliver professional services. The primary reason why you will need these services of an AC company is to get a task done, right? Well, you need to ensure that the company is the best for the service. How do you go about this? The first step is to look at the qualification of the technicians. The technical staff is responsible for the work done and to get the job done effectively, they need to be well skilled and experienced. One of the ways to certify this requirement is to find is the company is licensed and insured. A license and a certificate are awarded to skilled and well qualified companies. The second way to find out the qualification of the company is to look at some of the work they have done. If the company has a previous projects page on their business website, then it is a show of confidence and appreciation by previous clients, hence a show you will also like their work. In addition to previous work, the number of years is also a good prove of professionalism and high quality work; to remain in business for long means appreciation by clients. The other factor to consider is the services available for the company. It is recommended that you hire an AC company Los Angeles that has a wide range of services in the air conditioning industry. Why is this factor important? First, it is a show of the versatility of the technical staff and two, in case of any complication, you are sure the technicians can handle it. For a company that provides a number of services, the work are done by the same team therefore, they are fully aware of the entire process of handling air conditioners, this is an advantage to you the customer. The number of services available from the company is available on the company’s website. Last yet importantly, the services of an AC company in Pasadena are not available freely. To get AC services, you will have to part with a given amount. This brings us to the third factor to consider when selecting an AC company, the costs of their services. The charges by AC companies in Los Angeles and Pasadena will vary just as much as the number of companies. The secret is to compare the pricing and the service quality, the settle for that company that is affordable within your budget and provides the services you are looking for. Is this process too complex for you, don’t worry, one of the companies you can reliably trust for quality AC services is American Cool and Heat Inc.